In our 12 years of married life, we have had cable for about 9 months. My husband ordered cable the day that I went on bed rest with Little Sister (which conveniently was about the same time that football season started). 😉 After I was up and around for a few months, we decided we preferred not having cable (and our children not seeing commercials that convinced them they needed every toy under the sun!). Not to brag or anything, but we were binge watching before binge watching was cool. Prior to the advent of Netflix, we used to drive all the way to the local Blockbuster to rent the next DVD of Alias or 24. Prior to children (and with way too much time on our hands), we could finish a season in the matter of a weekend! As much as we love indulging in a little TV, we are pretty conscientious of the media that we consume. I think my husband and I have seen maybe one R-rated movie in the last decade (The King’s Speech) and we have made a commitment to not watch shows with an MA rating (after watching one very inappropriate show). Although not all of these shows on this list are squeaky clean, most are relatively tame in comparison to their MA counterparts! FYI: We don’t have the TV on when the kids are awake (unless it is a kid movie/show) and we only watch our shows after the kids are in bed. We currently have both a Netflix and Amazon Prime subscription (Amazon Prime for the 2-day shipping not necessarily the streaming ability). You guys. You have got to watch this series. If you watch only one series on this list, let this be the one. My friends and I even formed our own secret Poldark Fan Club Facebook group so that we could talk about this show amongst ourselves without people thinking we are crazy. If you loved Downton Abbey, you will love this show even more (okay, you’ll have to decide that but I love it even more)! The first season includes a racy scene that is quickly redeemed but other than that is relatively clean. Also, I would highly suggest watching it with the subtitles on because some of their accents are so strong that it can be difficult to tell what they are saying. I love the strong character of Ross Poldark (until Season 2 when he makes me absolutely crazy) but I love the character of Demelza even more. That’s all I can say because YOU HAVE TO WATCH IT FOR YOURSELF. Seriously. PS- I wrote this after the first season. I was so stinkin’ mad after the latest season and what a bozo Ross was! This is my all-time favorite TV series second favorite TV series ever (sorry FNL…Poldark beat you out for first place) and I am not even that big of a football fan. It has been several years since we watched this series start to finish so I don’t really remember very many details, but I do remember that I want to be Tammy Taylor when I grow up. I even wear aviator sunglasses now because of her influence in my life. This series comes in a close second third of my absolute favorites. I love the family dynamic to this show (and you can’t go wrong with Tom Selleck…I just kept waiting for him to break out into “Goodnight Sweetheart” throughout the entire series). This is the best cop show there is! This is the latest series we have watched and I absolutely LOVED it! It is rated G, so even the kiddos could watch this one (although it is geared to adults not kids). It is about a well-to-do school teacher who heads out west in the early 1900s. It is just the sweetest show and I love the characters! Also, I love the clothing…if it wasn’t for the small detail of indoor plumbing, I could totally live in that time period. Okay, maybe not…but I think we should bring back the early 1900’s fashion! This is the only series on this list that we watched in real time…waiting a week between every. single. episode. (Seriously? How do people live like this?) The Braverman’s are an endearing family that share in realistic struggles and joys. This show has a Downtown Abbeyish feel…just a few decades later and involving a vicar who investigates murders on the side. Each episode has a pattern involving a crime committed in the community, but the highs and lows of Priest Sidney Chambers’ life is what really kept me intrigued. Liking this show is quite out of character for me, but I found the show fascinating! It was more violent than I would have liked (and T-Bag’s character really creeped me out), but it is definitely intriguing! An upstanding brother purposefully enters prison to try to help his innocent brother on death row escape. It has been several years since we first watched this show and there are only three seasons. 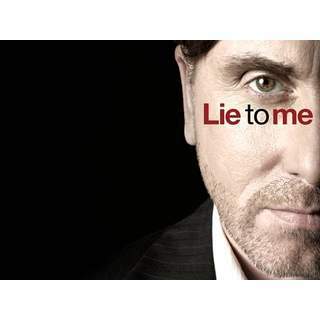 The main character, Dr. Cal Lightman, is basically a human lie detector. He can tell from certain mannerisms if a person is telling the truth or a lie. He created “The Lightman Group” which aids law enforcement authorities with various cases. Each episode is a different case that they are trying to solve…similar to CSI but using the science of lying! This is a semi-true story about Harry Selfridge, an American businessman who started one of the most successful department stores in London in the early 1900’s. It was created by Masterpiece Theater, the same people who made Downton Abbey. Knowing that it is somewhat biographical (with a little drama added for ratings, I’m sure) makes it all the more intriguing. But I just have to warn you that I hated the ending! I watched all 8 (?) seasons of the Gilmore Girls when I was pregnant with Little Brother because I had awful insomnia so I would watch them in the middle of the night while my husband was sleeping. You can’t help but love the witty banter between Lorelei and Rory. And I’m convinced I would love to move to Stars Hollow, but alas it is a fictional town. 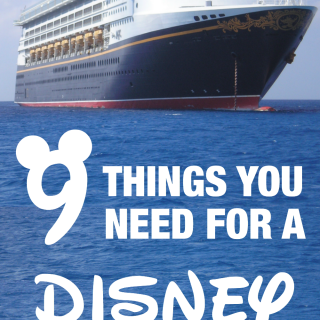 This series is especially exciting as they are getting ready to premiere a new miniseries on Netflix soon! 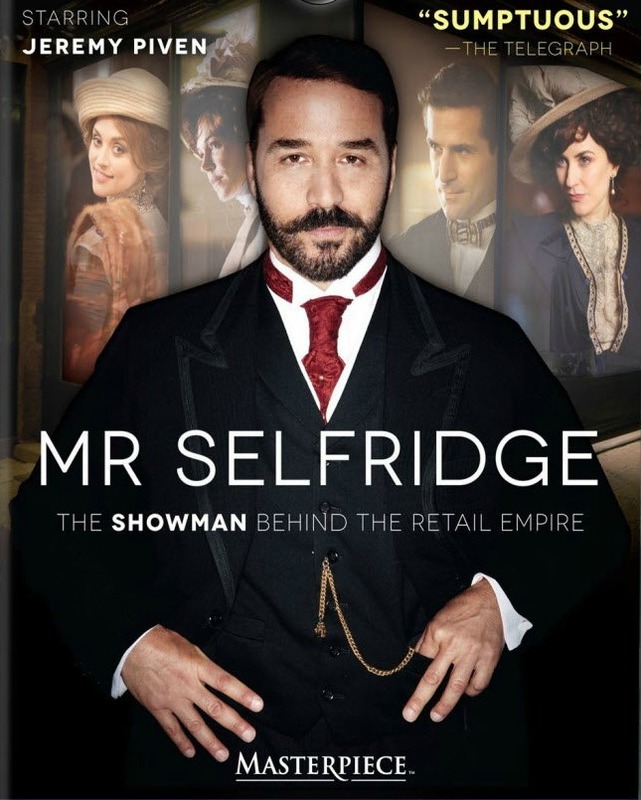 This show was a lot like Mr. Selfridge but much sweeter, in my opinion. I really enjoyed it! I believe this show originally aired on USA. There is quite a bit of language and it seems to get worse every season (edited to add: we stopped watching this show after this last season because the language was awful). There is also some inappropriate sexual behavior. After an introduction like that, it is difficult to condone watching his show…but it is a really interesting lawyer show. An orphaned college drop-out with a photographic memory stumbles upon interviews for one of the most prestigious law firms in the city while running from the police. He somehow manages to clench a job as an associate and then goes about faking a law degree from Harvard. The partner who hired him ends up finding out and helps him cover his tracks because he is so brilliant. We just finished the 5th season of this show and it might have been my favorite next to the first season. PBS does it again with another great miniseries. This series is set in a Union hospital in Alexandria, Virginia during the height of the Civil War. The main character is an abolitionist nurse who comes from the North to help Union soldiers after her husband dies of an illness. This show was deeply meaningful and both my husband and I enjoyed watching it together. Sadly, it was cancelled after two seasons. We are only a few episodes into the first season of this show, but so far we are really enjoying it! It is politically intriguing, clean, and family-focused (within reason…Téa Leoni is the Secretary of State, after all). Long-story-short Elizabeth McCord (aka Madam Secretary) is a former CIA analyst who has settled into life teaching at a university and living with her family on a horse ranch when she suddenly gets selected to be the Secretary of State. 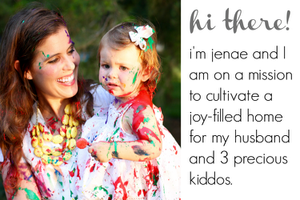 She tries to balance the struggles of being a wife, mom of three, and the most powerful woman in the United States. I wasn’t going to include this show because it isn’t available on Netflix or Amazon Prime…but I loved it so much it is worth buying the season for $15. My oldest son is currently obsessed with outer space (and has been for some time). His fascination with space and those who have had the privilege to explore it is what initially drew me to this show. Just to be clear, we did not allow our kids to watch this show (it deals with some very adult issues), but as someone who is much more relational, it helped me develop more of an enthusiasm for learning more about the astronauts. This show is based upon the book by the same name. It is a true account of the lives of the first astronauts’ wives, although I’m sure highly dramatized for TV. What is your favorite show to watch streaming on Netflix or Amazon Prime???? 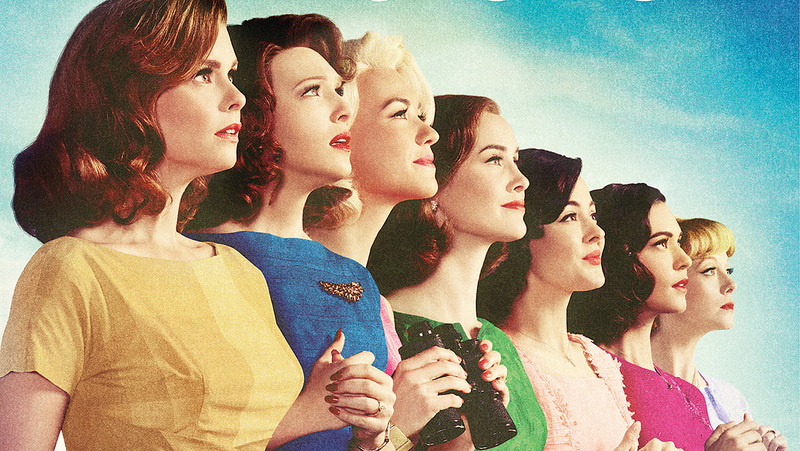 I just started watching “Call the Midwife” after many recommendations, and I love it! When does the next season of Grantchester start? Damages! Glen Clise is fantastic, and each episodes have many twists and turns that keep you guessing! From the shows on your list you might enjoy “Granite Flats” on Netflix. You must watch Heartland. Great series. Netflix. Super clean. LOVE it. Holy Cow!! It’s like we’re TV taste twins. I need to see a few of these that I haven’t tried yet. Blue Bloods and Friday Night Lights, here I come.